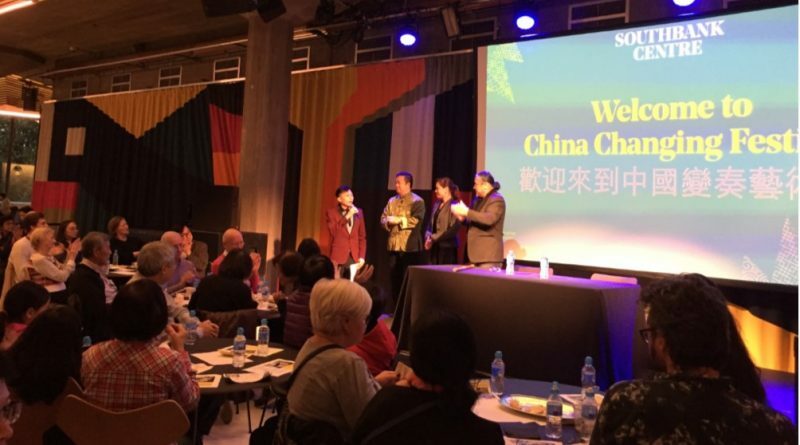 On a rainy Saturday at the Southbank as part of the China Changing festival we were taken on a culinary journey from the spicy sizzling Sichuan province to the delectable Xi’an region ending in the far north east of China, Dongbei, as part of our ever popular Bite-size series. Our speakers shared anecdotes of their cooking experiences sprinkled with historical and symbolic knowledge of their cuisine blended to create an evening of information, storytelling and comedy with a finale of the audience signing along to a traditional Chinese song with cook and musician Guo Yue. And no food event is complete without food to sample! The audience were treated to samples of homemade Sichuan spicy pork with flatbread by chef and supper club host Jason Li, traditional Xi’an cold noodles (Liang Pi) by head chef and owner of Xi’an Impression in North London, Guirong Wei and Dongbei dish, Lao Hou Cai, by musician and chef Guo Yue.